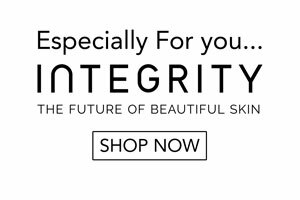 The Cutera Laser Genesis is a breakthrough laser treatment that safely stimulates the skin’s natural processes to reverse the signs of ageing and sun damage and promote a vibrant, healthy looking complexion. Laser Genesis™ Skin Therapy is an innovative, technologically advanced way to promote vibrant and healthy looking skin in men and women. Now you can have a youthful appearance by treating those conditions that are typically associated with premature signs of ageing and sun damage, such as excessive redness, large pores, uneven texture, and fine-line wrinkles. The Laser Genesis™ procedure has been scientifically proven to produce new collagen. The procedure utilises non-invasive laser technology to safely, discretely and effectively treat fine-line wrinkles, diffuse and excessive redness and help manage large pores, uneven skin texture, and scars. You can expect to see subtle yet consistent results after each treatment, without unwanted side effects such as bruising or excessive skin irritation. Treatments can be performed in a relaxed comfortable manner without the use of topical anaesthetic. The treatment results are often subtle. 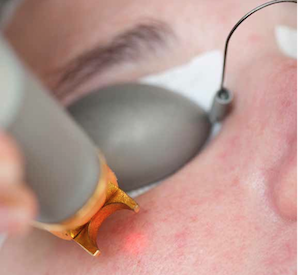 On average, you may require about six treatments in order to achieve optimal results. Every patient’s condition and needs vary. For more information about your expected results or the number of treatments necessary, consult your skin practitioner. What kind of textural improvements can you expect? Over the course of about six treatments, Laser Genesis can help restore the skin’s youthful glow and appearance by smoothing out uneven texture caused by ageing, sun damage or scars. You will see a more even, healthy complexion as large pores are reduced in size, and minor imperfections are diminished. The individual treatment results are subtle, but the overall effect of multiple treatments can be quite dramatic. Before your next close-up, boost your skin’s appearance with Laser Genesis. We take and share photos of everything. For better or for worse, your face and your image appear everywhere. But are you always #cameraready? Laser Genesis™ can make you proud to share your image. Micro-pulses of laser energy activate collagen remodelling to improve the appearance of fine lines and wrinkles, and diminish the signs of premature ageing such as facial redness and brown spots, fine lines and wrinkles. The result is a glowing, #cameraready complexion. With quick treatments and no downtime, Laser Genesis™ can fit into your busy schedule and is considered the perfect lunchtime procedure by many patients. Q: What are the treatable areas? Laser Genesis™ is an ideal treatment for the face and neck, and other areas of the body with noticeable signs of ageing, sun damage or scarring. Your practitioner will recommend four to eight treatments to achieve an optimal outcome. Clients are encouraged to visit for ongoing maintenance treatments to sustain results over time. Your practitioner will discuss a treatment plan during your initial consultation. Q: What does laser genesis™ feel like? You will experience a gentle warming of your skin’s surface during the procedure. Patients often describe the treatment as relaxing and therapeutic. You may notice a slight redness which will resolve within a few hours. Apply sunscreen and makeup, and you can return to your normal daily activities immediately. Q: Is laser genesis™ for me? If you have been seeking a quick, no-downtime procedure to gently improve your overall complexion that gives you that #cameraready appearance, Laser Genesis™ is the treatment for you! Q: What is laser genesis™? Laser Genesis™ is a breakthrough laser treatment that safely stimulates the skin’s natural processes to reverse the signs of ageing and sun damage and promote a vibrant, healthy looking complexion. Q: How does laser genesis™ work? Micro-pulses of laser light energy activate collagen remodelling to improve the appearance of fine lines and wrinkles, and target unwanted brown spots and facial redness. Individual treatment results are subtle, the overall effect of a treatment series can be quite dramatic. Q: What are the benefits of laser genesis™?